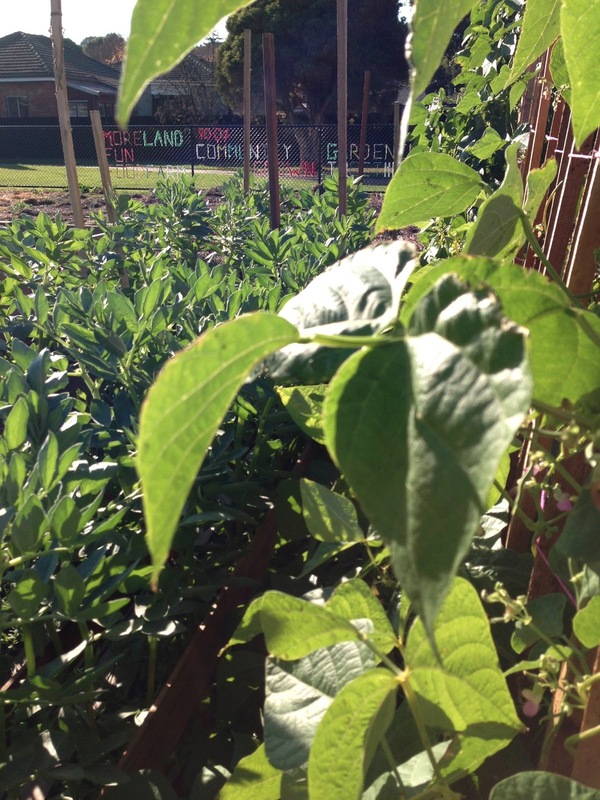 Moreland Community Gardening: Has it been a month already? July Garden & Gather this Sunday 11am-3pm - All Welcome! Has it been a month already? July Garden & Gather this Sunday 11am-3pm - All Welcome! Just a quick note to remind you all that this Sunday between 11am-3pm is our monthly Garden & Gather down at the West Brunswick Community Garden & Food Forest. Paint our blackboard (weather permitting)! Participate in the amazing compost workshop at 11am! Witness the progress in the north communal bed! Wander the wonderful food forest! As always bring gloves and sensible shoes. Thanks to everyone who has paid their membership, personal plot and communal garden contributions. It's not too late, your contributions really do help. If you want to know how to contribute, email us at grow.eat.moreland@gmail.com.